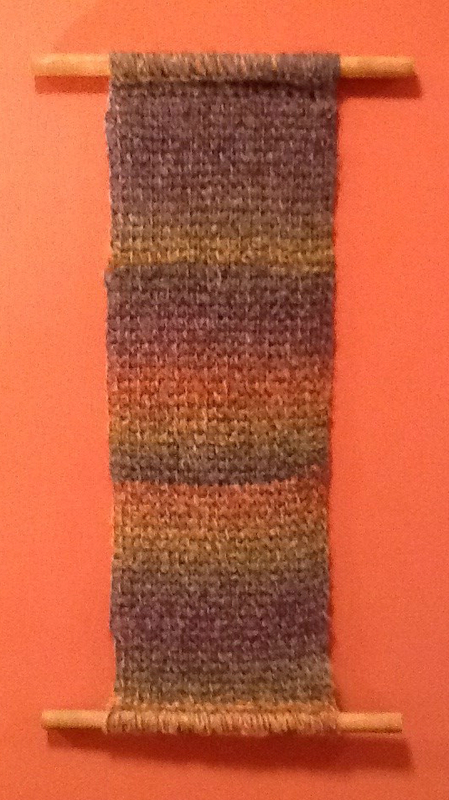 This is a wall hanging I made in a basic Tunisian crochet stitch. I made it from an Italian wool and stained the wood to go with the tones on the yarn. I also added hanging brackets to the back of the top so it could be easily hung on the wall. I might have to do more of these!